Epic Games’ is making their Unreal Engine freely available to universities and colleges. This means that these educational institutions won’t pay the $19 USD monthly subscription fee but will still be subjected to the 5% royalty fee of commercially launched products. 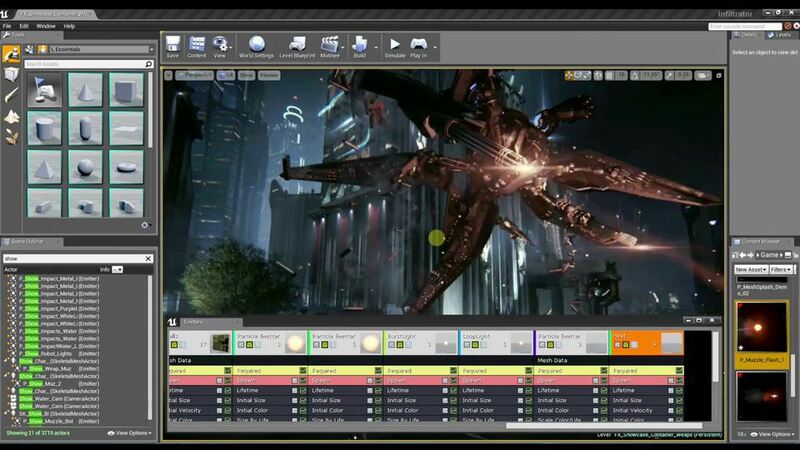 The Unreal Engine isnt just used for games but is also a tool for Arts and Animation, Engineering and Architecture. I hope Philippine game development, engineering and architecture schools take advantage of this promotion as we really need to build up our pool of talents for the various related industries. CARY, N.C. (September 4, 2014) – Epic Games announces that starting today schools and universities have unlimited access to Unreal Engine 4 for free. Educational organizations can obtain Unreal Engine 4 access for faculty and students through unrealengine.com/education. This new initiative sets up the academic community to take advantage of everything game engine technology has to offer and be a part of game development in its purest form. Students can build incredible portfolios, make projects of any size and advance their careers using Unreal Engine technology. Unreal Engine 4 is the most accessible, beginner-friendly version of the engine ever created. With Unreal Engine 4, recently named the best game engine by chief technology officers and industry experts, the availability of complete C++ source code along with Blueprint visual scripting brings the learning experience to the next level! Leading Platforms. Use Unreal Engine 4 for all major platforms including PC, mobile and VR. For Artists and Designers. Build complete games with Blueprint visual scripting, no coding required. For Programmers. Study, examine and extend Unreal Engine 4’s multimillion-line codebase through the GitHub community. Learning Materials. In addition to the tools, features and code, Epic provides free tutorials, extensive documentation, AnswerHub support, complete sample projects, wiki and forum access, as well as weekly livestreams because open access to the engine, information and the people behind it all is the best way to learn game development. Microsoft, Sony, small to large-size studios, FX houses, architectural firms and government organizations all use Unreal Engine 4. In addition, Epic collaborates with Apple, NVIDIA, Google, Amazon and Facebook and other leading organizations on research and development for emerging platforms. Thousands of students have built careers and companies around Unreal Engine experience for more than 15 years. View a sampling of Unreal Engine academic partners here.